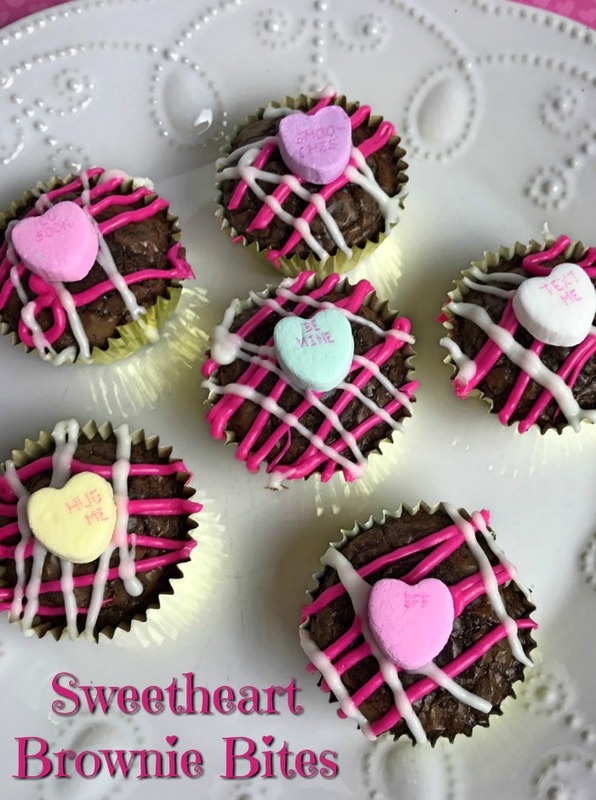 Need a quick, easy and cute treat to make for your Sweetheart? 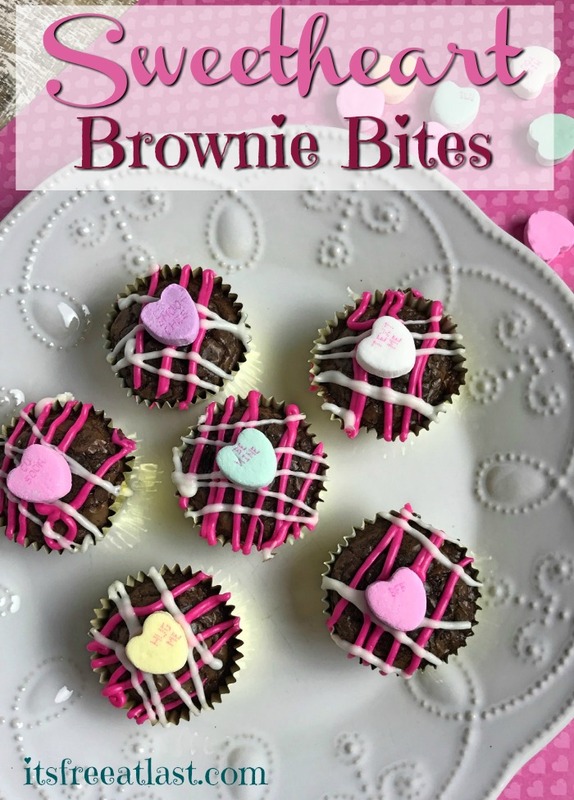 These Brownie Bites are the perfect thing- any day of the year. Show someone you love them by making them today! Step 1: Preheat oven to 350 degrees. 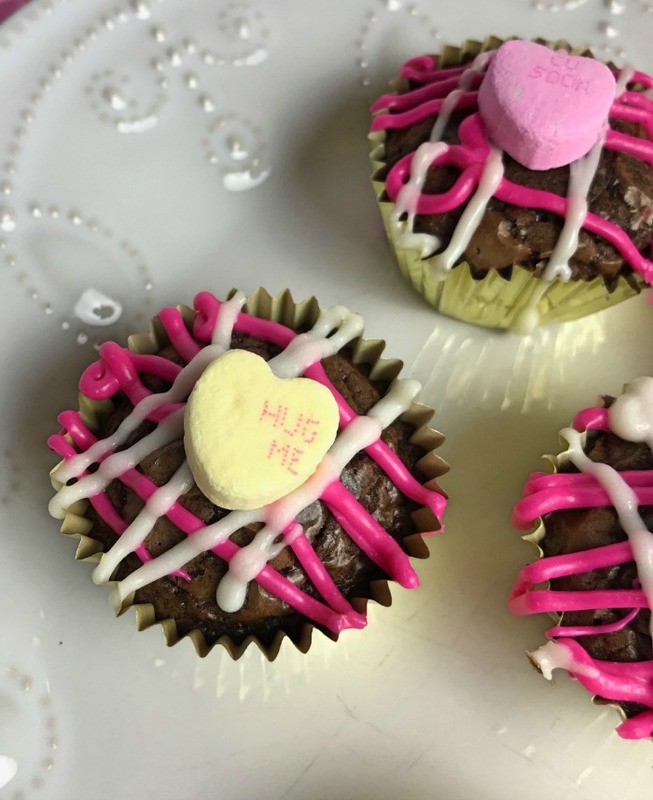 Prepare mini muffin pan with mini cupcake liners and spritz with non-stick cooking spray. Step 2: Mix brownie batter according to package directions. Using a small scoop, pour approximately 1 tablespoon of batter into each mini muffin cup. Bake for 10 to 12 minutes or until a toothpick inserted in the center comes out with moist crumbs attached. Cool brownie bites completely. Step 3: Melt candy melts according to package directions. If candy overheats or is too thick, add 1 teaspoon of coconut oil or vegetable shortening. Step 4: Pour melted candy into a zip-top freezer bag. Snip one corner and drizzle over brownie bites. Immediately add candy. Allow to set completely before packaging or serving. Be sure to pin or print for later! 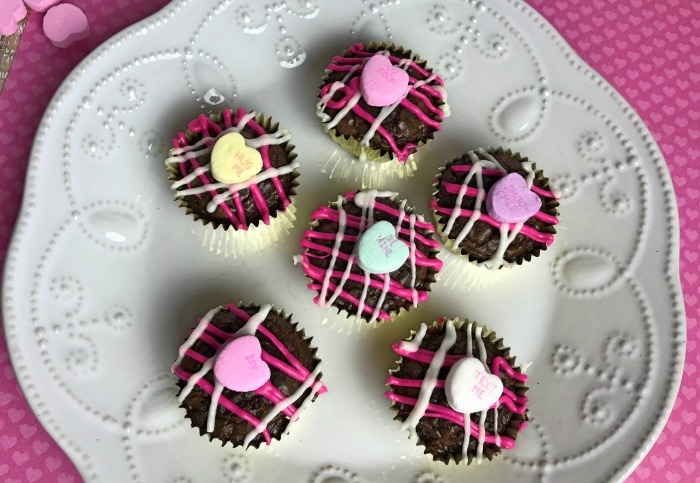 Super easy brownie Bites to make for your sweetheart any day of the year! Preheat oven to 350 degrees. 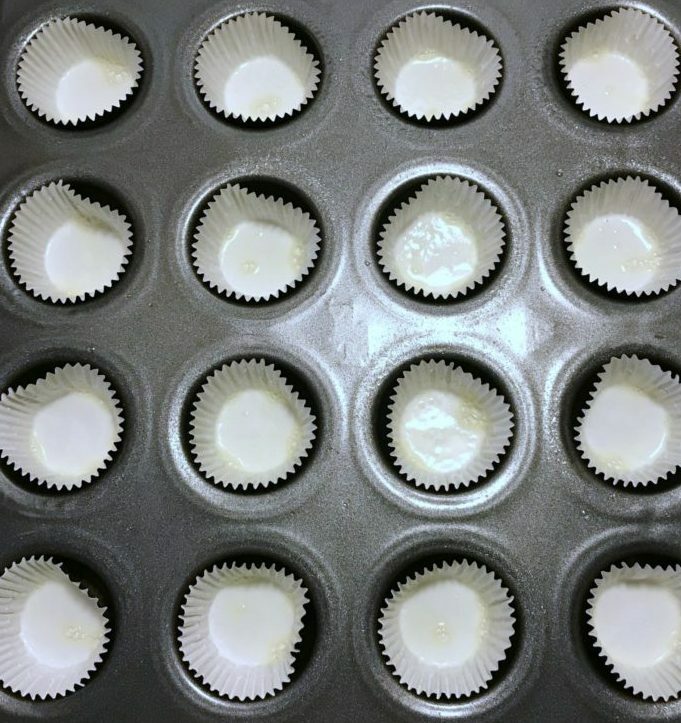 Prepare mini muffin pan with mini cupcake liners and spritz with non-stick cooking spray. Mix brownie batter according to package directions. Using a small scoop, pour approximately 1 tablespoon of batter into each mini muffin cup. Bake for 10 to 12 minutes or until a toothpick inserted in the center comes out with moist crumbs attached. Cool brownie bites completely. Melt candy melts according to package directions. If candy overheats or is too thick, add 1 teaspoon of coconut oil or vegetable shortening. Pour melted candy into a zip-top freezer bag. 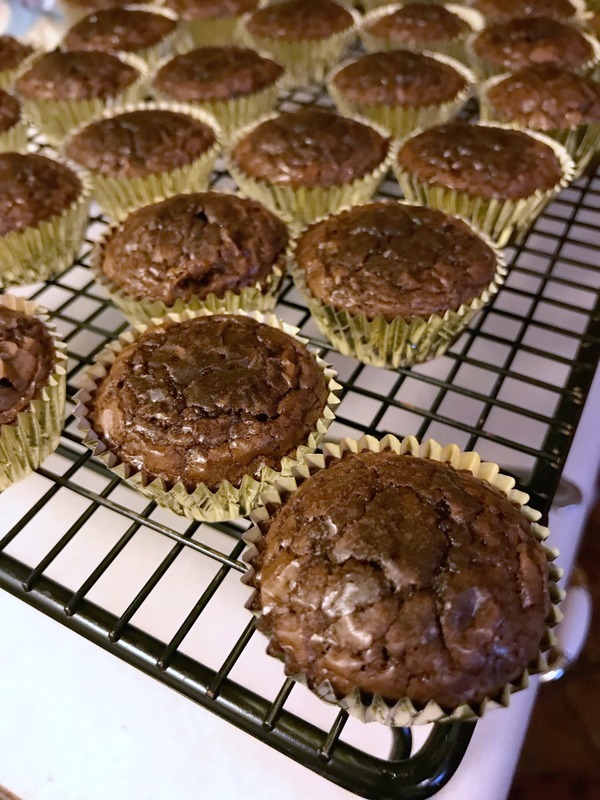 Snip one corner and drizzle over brownie bites. Immediately add candy. Allow to set completely before packaging or serving. What a sweet treat to put in a lunch. So easy but yet cute.